There is in truth something fairly incredible about how this city managed to play such a role in the Mediterranean world. I have a couple of histories that try to tie this world together, to understand the past not in terms of single countries languages cultures, but how they all came together around this great body of water in flows and connections. I love how this undermines the careful separations of cultures and continents that many histories and nationalisms invest so much in. Agents of Empire by Noel Malcolm did this most beautifully, though I have yet to read Braudel. I tried to imagine the conversations that must have happened in these incredible streets, in this jewel of a city. The many thousands of tourists lined up to walk around the walls, to go up the thronging the streets, made this fairly impossible. There were torrents of Game of Thrones fans. We spent most of the week here trying to go elsewhere. Disappointing. Of course what Dubrovnik made so clear was the asphyxiating nature of this city for so long. Here the patriciate worked so hard to maintain their purity there was no upward movement at all. Marriage to a ‘commoner’ made of you a commoner as well, and only the patriciate had any say in the running of the city. Venice, for all its faults, at least pried this open to some degree in Split and other cities under its control. 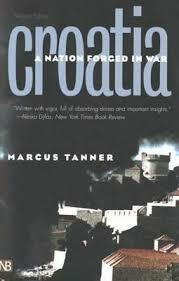 Between the men of Split there exists that hatred which prevails in most of the Dalmatian towns. This hatred comes from the fact that the nobles have their own council in which they choose public representatives every three months. These nobles are poor, as far as their fortunes go; but puffed up with empty ambition the citizens, who because of their crafts and trade live much more comfortably… On the other side these [citizens] since they are not allowed to meet and choose some officials, cannot with a peaceful spirit tolerate the privileges which the nobles have on the basis of the old laws of this city. Imagine the tide receding completely. This was from an account by a Dutchman, who was trapped in rubble and gave an improbable story of his servant despairing and only recovering hope when ordered by his master to try harder to escape and bring help. A saint that always carries the city in his arms. Cats everywhere. Tanks painted in gay colours and a museum of remembrance of the ‘War of Serbian Aggression’ (but never any mention of fascism or WWII). We saw a concert in the Rector’s Palace, it was beautiful indeed to be there in the late evening. We climbed hills (so many hills), had fabulous food, wine of the best. Saw the small archaeology museum, ethnographic museum, the absolutely fabulous natural history museum with its incredible Freddy Mercury homage. We rode a pirate ship to the islands, saw the great ruined hotels of Kupari, visited the salt flats at Ston. Saw some of the social housing and modernist architecture and liked that very much. Found a gecko our very first day.